Whew! We’re back and (somewhat) recovered after the whirlwind that was CiderCon 2019. 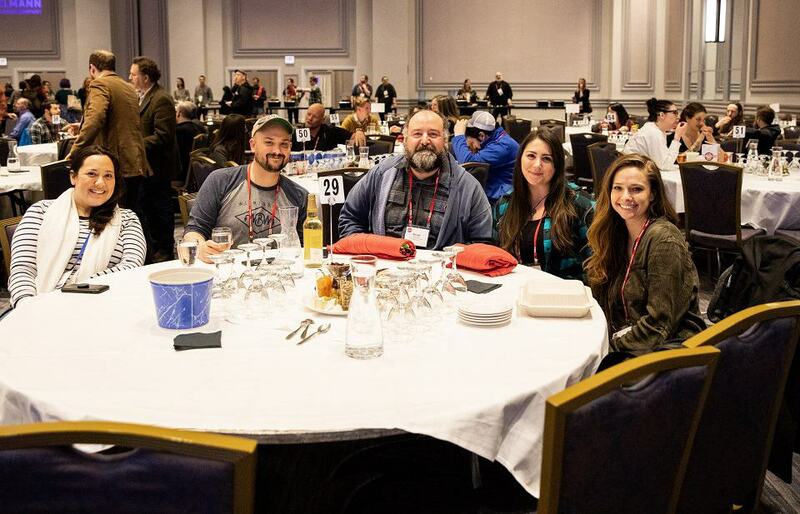 Every year, we’re reminded why this annual event, organized by the United States Association of Cider Makers, is at the head of its class, as far as cider conferences go. 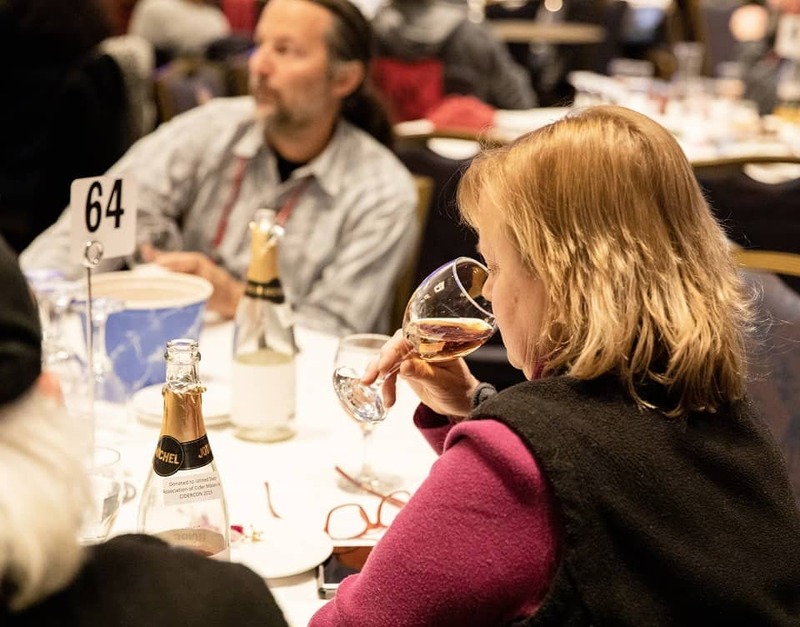 A dynamic schedule of workshops and panels, a veritable who’s who of cider industry folks, incredible events, and an almost-literal river of cider flowing makes for a few quiet and action-packed days, indeed. 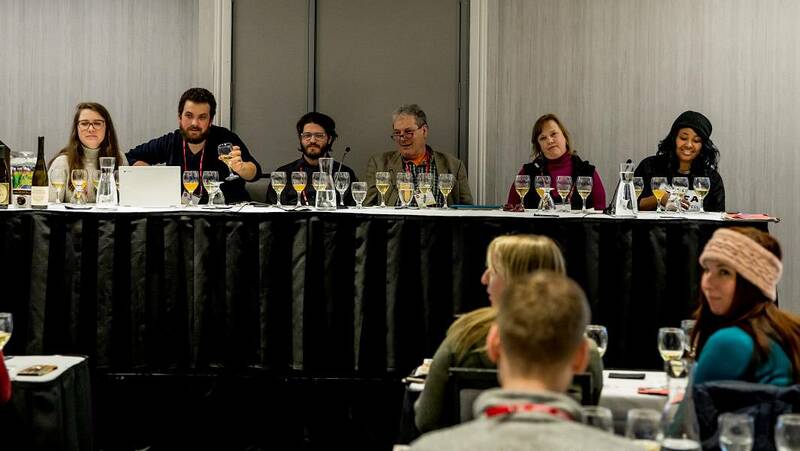 This year was the 9th-annual CiderCon, and it all went down in (very freezing cold, but lovely) Chicago, Illinois, from February 6 to February 8. The data is in and it turns out that 1,087 people attended — that’s the largest CiderCon turnout in three years! That number includes 223 vendor reps, 99 presenters/speakers and 21 members of the media (hey, that’s us!). Here’s the geographical breakdown: 44 U.S. states were represented in attendance. It’s no shocker that cider-heavy states Michigan, New York, California, Minnesota, Washington and Oregon brought in the most attendees. Cider makers from the world stage were also in the house; folks from 10 countries, including Canada, Korea, Ireland, Japan, the United Kingdom, Holland, Spain, Luxembourg and Russia, made the trek. 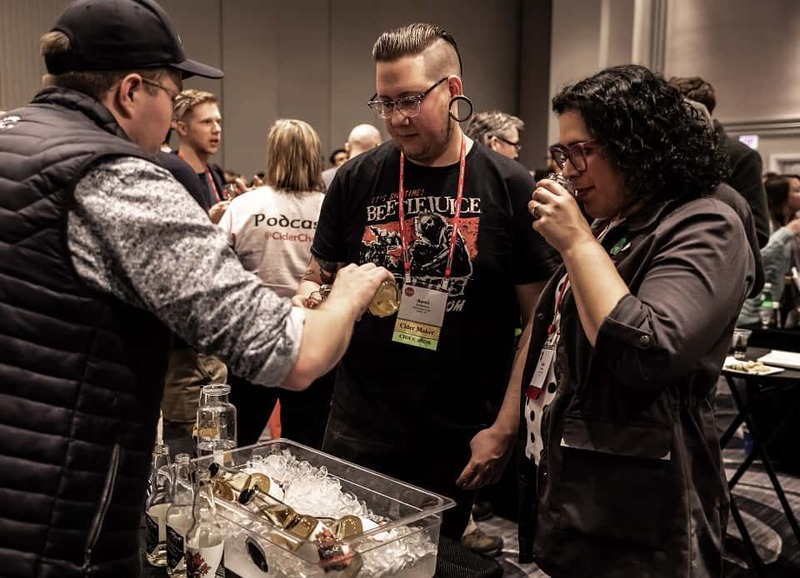 New to CiderCon this year was a majorly upgraded tradeshow with two cider bars, a game and lounge area and cider samples on the floor. 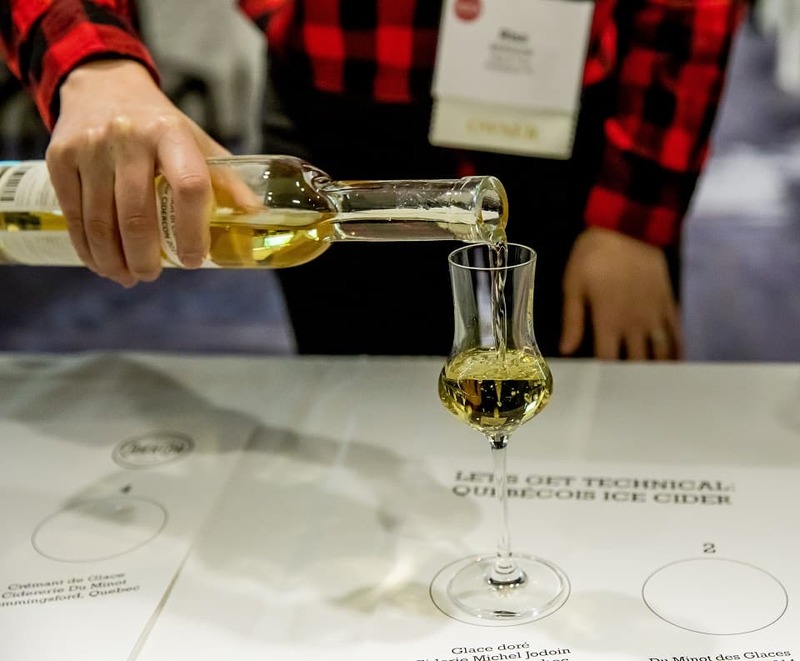 CiderCon 2019 was where USACM piloted its Certified Pommelier exam (a second-level designation of the Certified Cider Professional program geared toward cider servers). A huge congrats to the 30 people who were part of the initial Certified Pommelier exam cohort! Also new was the The Pomme Boots Society‘s first annual meeting, held at CiderCon 2019. 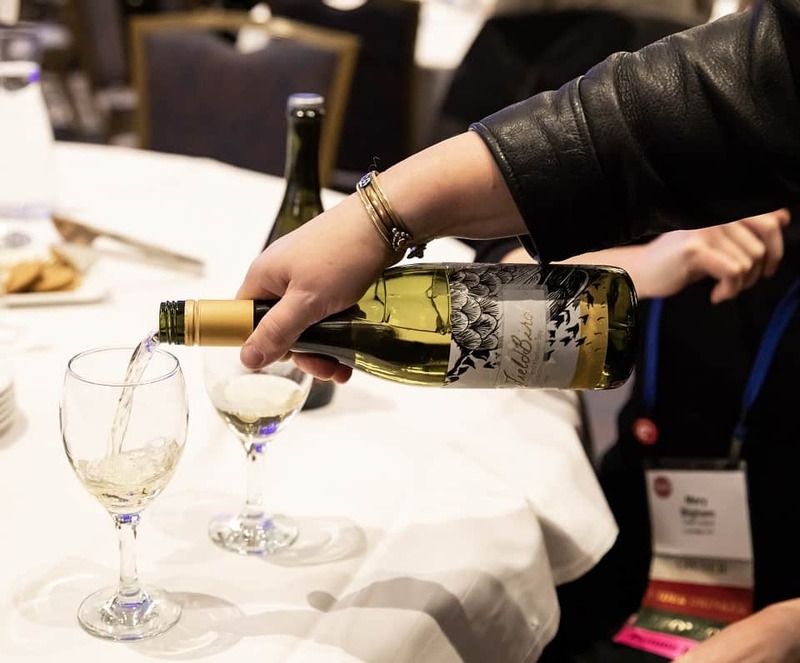 The group’s mission is to support a positive network connections, education and professional development for women in cider. 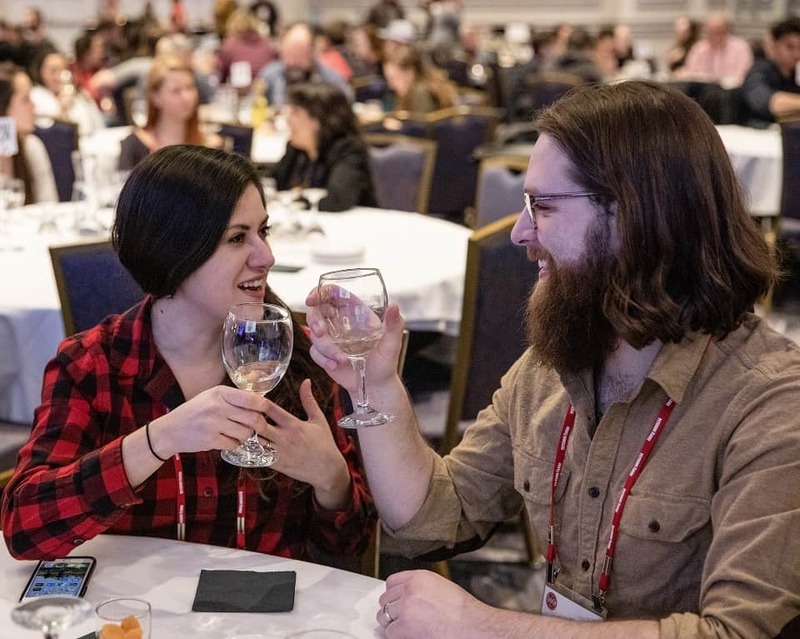 One of the highlights of CiderCon is always the in-depth report from the research firm Nielsen, which included fact-driven reports about cider’s retail sales numbers in the United States. We were excited to hear that the cider category grew faster than beer and wine in 2018, led by rosé ciders, national cider brands and regional ciders. Paul Vander Heide of Vander Mill in Michigan was re-elected as President. Brooke Glover of Swilled Dog Hard Cider in Franklin, West Virginia, was elected as Vice President. Ben Calvi of Vermont Hard Cider Company in Middlebury, Vermont was re-elected as Treasurer and returns for a second term on the board. Eric Foster of Stem Ciders in Lafayette, Colorado, was re-elected by the board to continue as Secretary. Eleanor Leger of Eden Specialty Ciders in Vermont was elected for her second term on the board, this time as the Eastern Regional Chair. David Thoron of James Creek Ciderhouse in Cameron, North Carolina was newly elected as the Southern Regional Chair. This year there was a ton of great cider at the really high-quality level from around the country. Cider made with intention that tastes great, with goals of servicing their local markets and not set on global conquest. And not just in traditional apple and cider strongholds New England and Michigan, but throughout the country, from Arizona to North Carolina. Risa McKenzie: Co-Founder/Owner, Hale & True Cider Co. The diversity in the attendees and cideries represented is noticeably increasing, which is exciting. I’m hopeful to see this trend continue as the industry continues to grow. We need diversity represented in cider brands, cider makers, cider styles and in our target audience to really thrive. Also, I really enjoyed hearing from a variety of perspectives on panels: cider makers, data analysts, retailers, distributors and more. It helped pain a fuller picture of the industry and current market, and validate some of the trends that we are seeing locally in Philadelphia. It’s always a bit of a blur, between networking and trying innovative ciders, trying to make connections with vendors, and finding deals on equipment and future cider making. As a new association leader, it was interesting to see some of the inner workings of USACM and other regional associations. For takeaways, the Nielsen talks made me feel like there is a ton of growth potential still in the cider world. The regional association talks helped me realize that we aren’t the only state with issues and that legislative changes may be helpful or a great hurt to our state’s future. My biggest takeaways were: 1. The cider market is growing with room for everyone, from small orchards producing heritage cider to urban cideries making modern styles. 2. The industry is full of people who love to help out others and share their knowledge. 3. My other takeaway is that I have not yet made my best cider, but with knowledge gained while at CiderCon, I’m getting closer to it! My takeaways are: Meeting people and having the reassurance of the continued growth in cider industry means there’s more than enough room for everybody. From the Cornell research presentation, I learned about tannin additions to milled apples on the way to the press and cleaner juice, fresher fermentations. In my second year attending CiderCon, I have seen an incredible amount of growth, both in content and networking opportunities. I have admired USACM’s dedication to our industry for years and this year was another clear example of the exciting work happening. From gathering regional leaders to sessions on production styles and ways to support our lexicon, USACM brought together our industry to share our most productive resources with one another. Specifically, as a producer and lover of still cider, the “Making a Bang without Bubbles: Still Cider” seminar enlightened me to more effective ways of showcasing my product while also giving me the opportunity to enjoy still ciders from producers I admire. Always a great show! The trade show portion has grown a lot since we first started participating three years ago. Matt DeLong: Founder and CEO, Ridge Cider Co.
Hard cider is up in sales from 2017. Watch and consider trends in related industries as far ahead as possible. A fermentation/ hard cider with residual “fresh” apple characteristics is of utmost importance. Thanks again to everyone that we met, hung out with, learned from, and drank cider with. 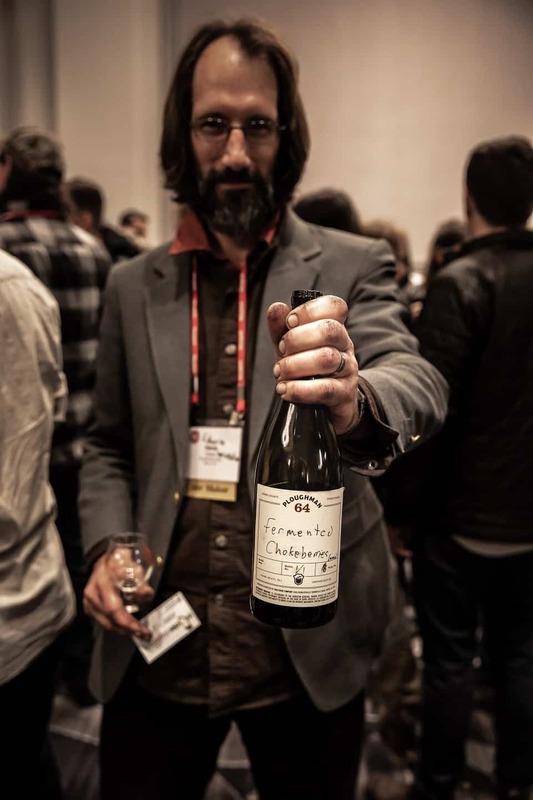 We had a great time and loved getting to share the immersive experience of CiderCon with you all! 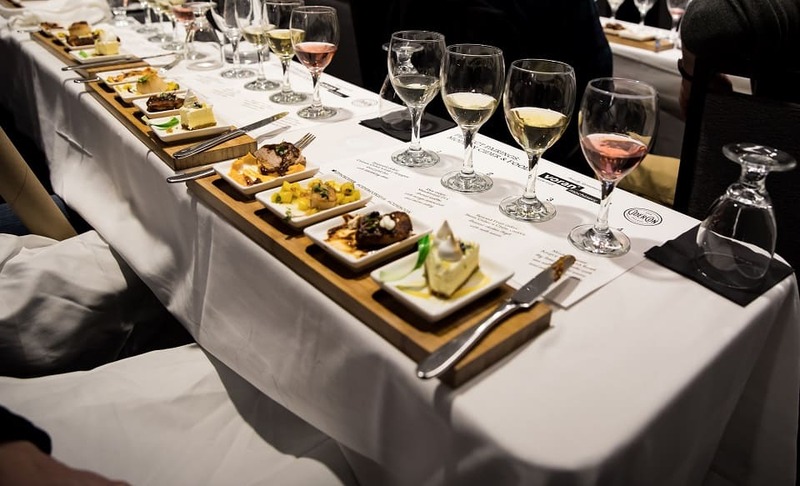 If you’re the type to plan ahead, take note that CiderCon 2020 will take place in Oakland, California from January 29 through January 31.